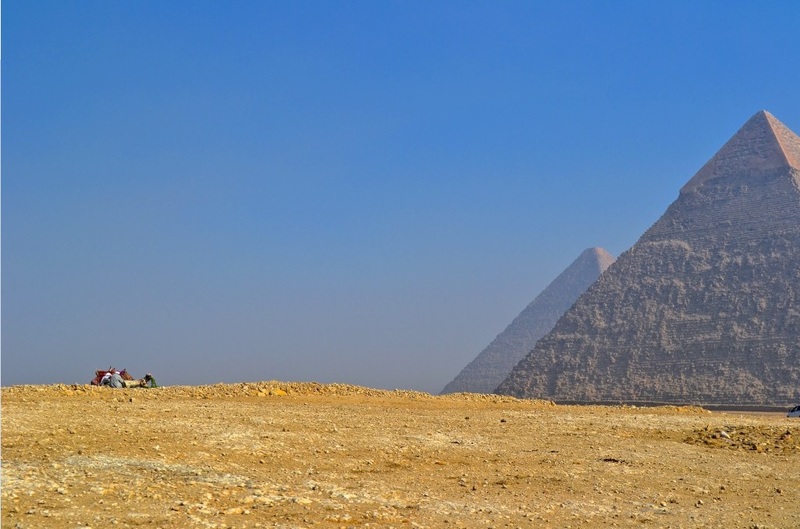 Egypt’s ailing Great Pyramids of Giza complex is undergoing renovation works in aims to make it more accessible and enjoyable for visitors. In statements to Al-Masry Al-Youm, Egypt’s Minister of Antiquities said that the project to improve the complex will cost EGP 350 million and will be complete by the end of September. According to the Minister, the project will include the installation of CCTV cameras across the complex and enhanced security systems to ensure the protection of some of Egypt’s oldest antiquity sites. However, the improvements will go beyond security, with an aim to construct an information center, an administrative building and parking facilities for visitors. To tackle the issue of littering, rubbish bins have also been placed throughout the complex. Vendors, who have long been accused of harassing visitors, have meanwhile been moved to a designated area. The Egyptian government has long been criticized by locals and visitors for neglecting the Giza complex. Earlier this year, Egyptian Streets published an article detailing nine ways to restore the Pyramids complex and ensure it is on the same level as other sites across the world.